» June 2010 - Tracy Smith's magazine interview promoting Badminton! 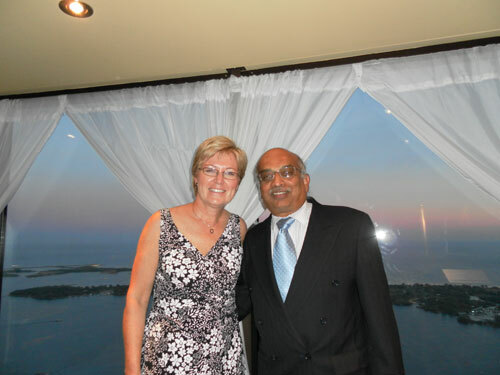 Congratulations to Dave Kumar who was nominated by LBP and received the OBA's President's Award at the 2010 OBA Awards Gala held May 29, 2010. A member of LBP for 29 years, Dave was recognized for his many years of volunteering. He has been on the club executive for over a decade, serving as club President for more than 5 years and after stepping down from that post 2 years ago, he continues to assist and support the current LBP executive. Congratulations to all LBP members who participated at the Hamilton & District Badminton Championships this year and a special mention to the following players.